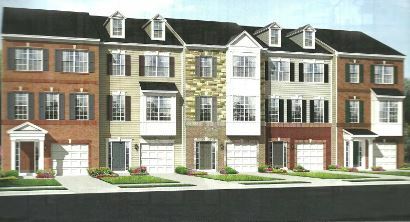 Dominion Crossing, a new townhouse community, is conveniently located in Manassas Park City next to Manassas, VA which was ranked 56th by Money Magazine's 100 Best Places to Live in 2011. It is situated right around the corner from the Manassas Park VRE Station. There is also easy access to Route 66 and the Prince William Parkway. The community consists of 4 different styles of 3-level, 20' & 22' luxury townhomes that feature brick or partial brick fronts and your choice of front or rear load garages. The homes have many luxurious touches from deluxe kitchens, open plan, well laid out living areas, walk-in closets and High Performance energy savings among many other great features! Live in a great home and enjoy all the shopping and dining that Historic Downtown Manassas has to offer. Additionally, Harris Pavilion has a great summer concert series, July 4th celebration, festivals for the whole family and ice skating in the winter! There are homes available for move-in throughout the summer as well as the option to build from the ground up ranging from the low 300's to upper 300's. Sizes range from approximately 2100 - 2700 square feet. Wooded cul-de-sac lots available! Contact us to find out about the great Sales Event happening on these homes - 3 Free Options to choose from!